They will face an environment of challenges beyond the scope of what we now know. They will compete for jobs that don’t yet exist. They will be living in a world where more and more aspects of their lives will be connected to a global society. They will be operating in a world where innovative thinking will be a competitive advantage that can’t be outsourced. Todays children are growing up in a time of tremendous and accelerating change. 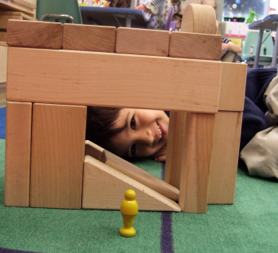 A ChildCore PreSchool education supports children in creating daily and lifelong success. 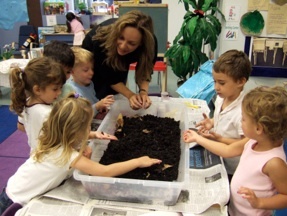 We believe that each child’s learning path is unique and that their academic, emotional, physical, social and creative development is inter-connected. We provide each child with age-appropriate educational and developmental experiences to initiate and extend their learning. We motivate each child to “self-learn” and to become an actively engaged lifelong learner. We support each child in acquiring knowledge-skills versus learning by rote. Knowledge-skills implies an intrinsic understanding of learning: asking questions, formulating theories, experimentation, risk-taking, re-evaluating based on outcomes, seeing things through multiple lenses, deep learning based on observations, the value of collaboration, realizing that “setbacks” are really exciting opportunities to consider alternatives, delving into areas not immediately considered and thinking as if there were “no boxes”. We thereby ensure that each child moves confidently through their years at ChildCore PreSchool, and then on to Kindergarten, self-assured in the quality of their ideas, actions and abilities.